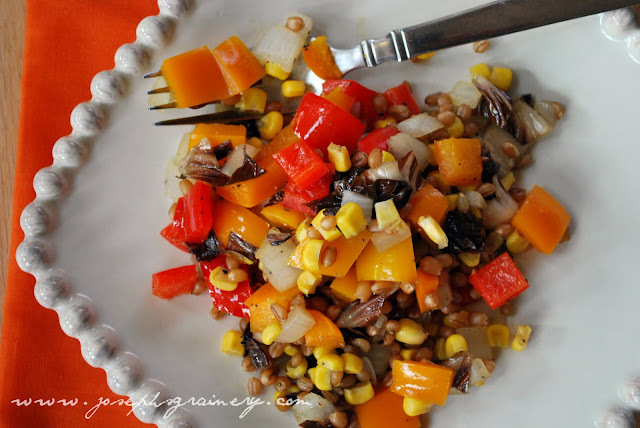 Roasted Veggie and Wheat Berry Salad is the perfect side salad! Do you have a late summer potluck coming up? Or maybe going to dinner with some friends? MaMa says that this salad is a safe bet. Remember that cooler full of radicchio that we got from the nice folks at Royal Rose? 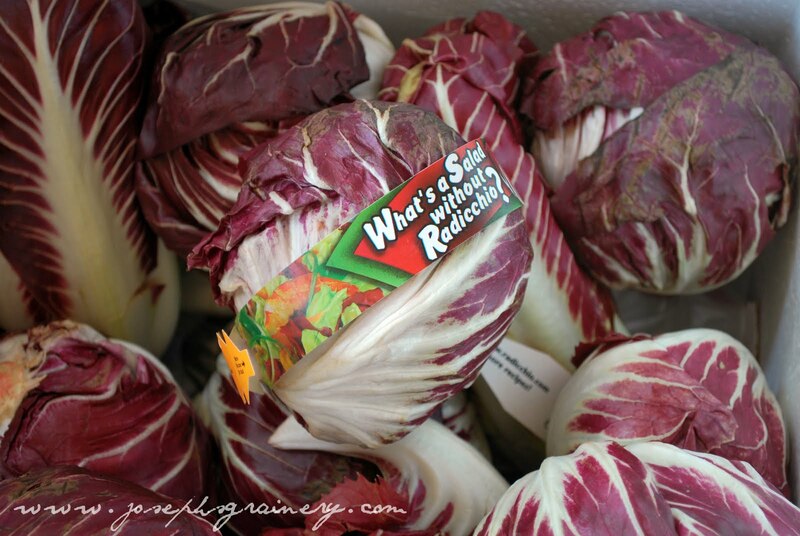 MaMa incorporated some of the radicchio into the salad to give it a flavorful boost. Directions: Preheat your oven to 400 degrees. Place all of the veggies on a baking sheet. Coat the veggies in olive oil and season to taste with salt and pepper. Roast the veggies for 15-20 minutes, flipping them once at about the 10 minute mark. Remove oven and transfer to a large bowl, stir in the wheat berries. Add additional salt and pepper if needed to suit your taste. 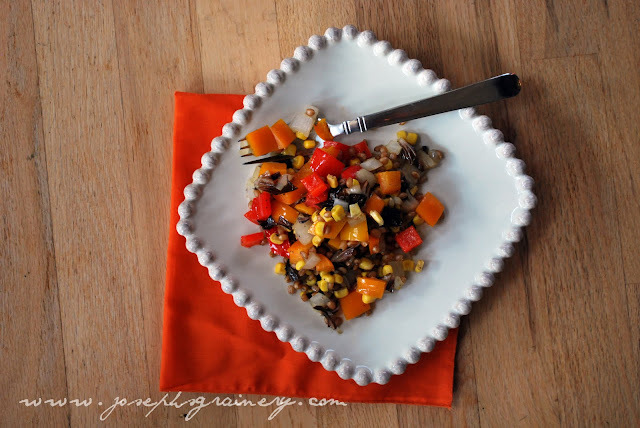 This recipe was inspired by Fake Food Free's Roasted Corn and Pepper Wheat Berry Salad.